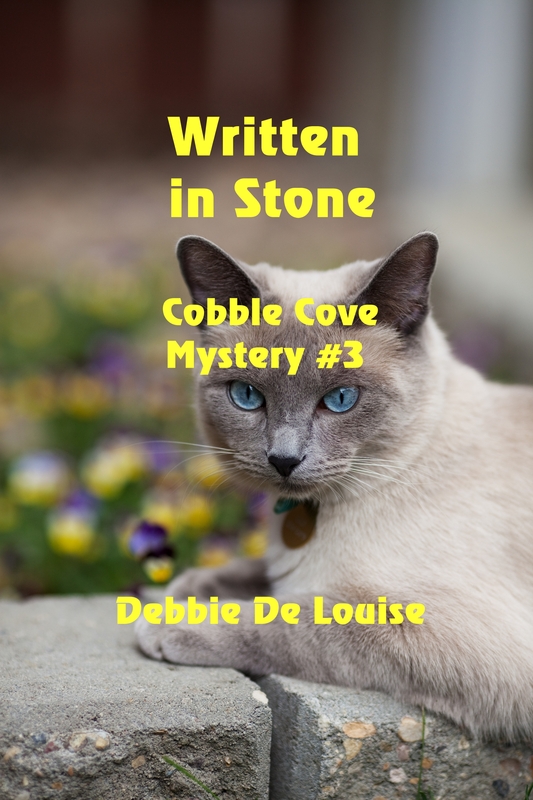 I’m proud to have the library cat from my cozy mystery series here to talk about our books and fill my readers in on the latest Cobble Cove news. Hi, Sneaky. thanks for dropping in on my blog. That sounds great, Sneaky. So tell me what’s going on in Cobble Cove. Any news you’d like to share? 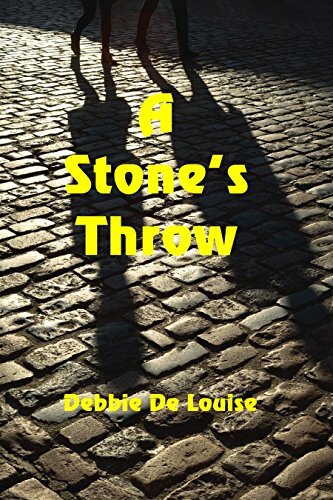 Well, you should know more than me, Debbie, because you’re the author, but I have heard some rumors that a fourth book of the series is in the works. That’s true. 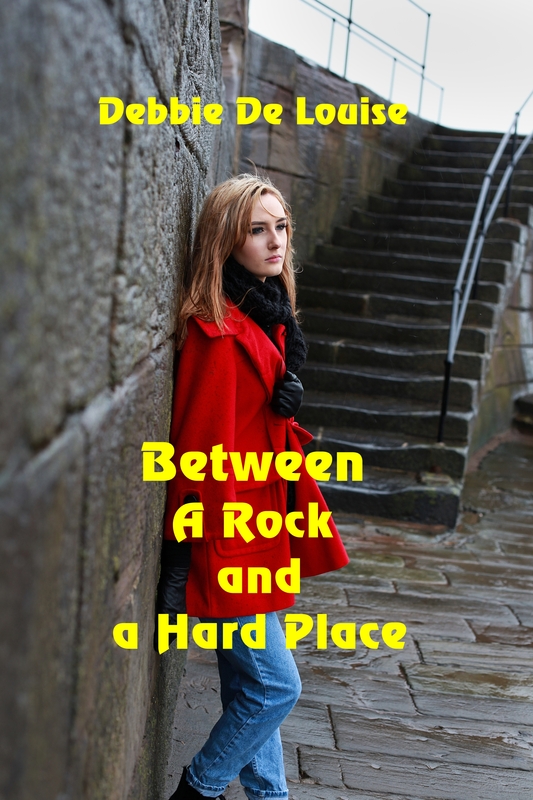 I’ve just started writing the fourth Cobble Cove Mystery. I’m not quite ready to give away any hints about it yet, but maybe you’d like to say something about the first three books since you are featured in all of them. Yep. I’m a regular character along with Alicia, the librarian; John, the newspaper publisher/mystery author; Fido, my dog co-star, and a bunch of other really fun folks who all live in the small upstate town of Cobble Cove, New York, where most of the action takes place. But, let me tell you, for a cozy small town, this place turns out to be a hotbed of crime; and, by “hotbed,” I don’t mean the warm in the sunny bay window type of hotbed. In the first book, A Stone’s Throw, there are a few scenes on Long Island where Alicia, like you, is originally from. One of the settings of the second book is New York City during the holidays; and in our latest, Written in Stone, we are back on Long Island for a bit. Since I don’t like to give away spoilers, I will just give a brief overview of each book. In my first adventure, I am introduced as the library cat of the Cobble Cove Library. I help Alicia uncover clues to a very old mystery in the secret room above the library. It isn’t exactly secret because a previous librarian had stayed there, but I like to add a little drama to my descriptions. In the second Cobble Cove mystery, I appear in a children’s storytime at the library. I don’t really help solve the three crimes of burglary, kidnapping, and murder featured in this book, but I provide a bit of comic relief which is an important role in any story. In my latest mystery, I play a big role. Not only do I go missing from the library, but I turn up clues that lead to the person who killed the lady in the library who was wearing the same blouse as Alicia. I also convinced you to let our publisher put my likeness on the cover. Aren’t I handsome? You certainly are, Sneaky, and quite modest. 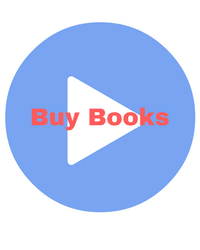 Is there anything else you’d like to say about yourself or our books? Thanks for letting the readers know about that, Sneaky. 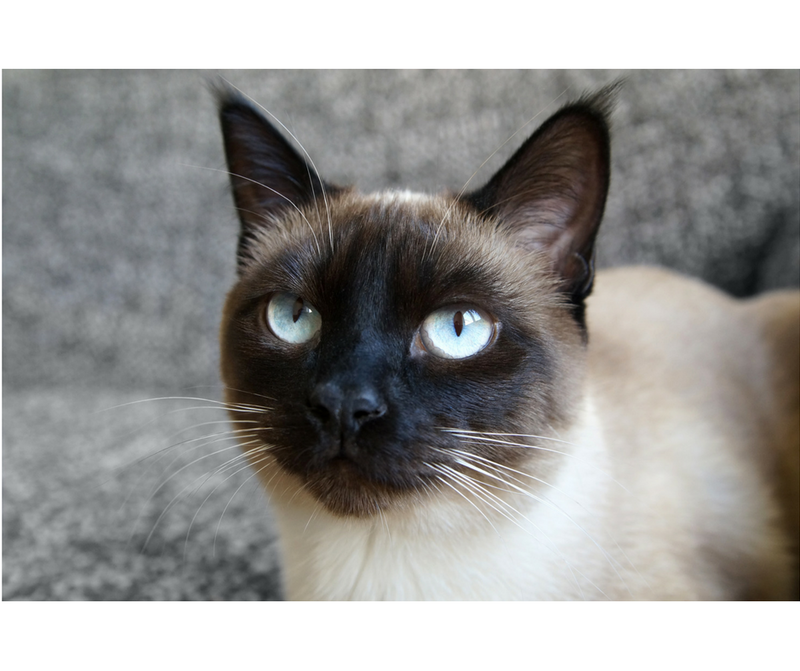 We’re always looking for new members, and I know you are always seeking new pet and pet characters for interviews on your blog. Yes, Debbie. I love cat chatting with guests. It was fun to talk on your blog, but I must get back to Cobble Cove to help you finish writing our next book and make sure you give me some pawsome scenes. I promise I will try, Sneaky. 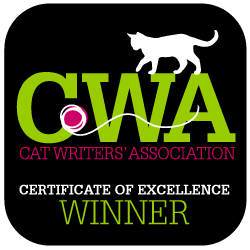 Now for a shameless plug by your author for her other books of various genres that feature cats (sorry, Sneaky).